Michael Jordan set the bar pretty high on the basketball court, and set it equally high at retail stores with his massively popular post-career Jordan brand shoe line. Jordans command close to 60 percent of the U.S. basketball shoe retail market under the Nike umbrella, according to Yahoo. And now Nike is launching footwear that could potentially take retired star Kobe Bryant down the same path, with the release of the new Nike Kobe A.D. shoe, as reported by Sneaker News. While not a stand-alone sub brand, as Jordan is with Nike, the new Kobe A.D. represents the first edition of his signature line after his retirement following the end of the 2015-2016 season. As Nike itself admits on its site, “We’ve officially reached life after Kobe. A life where new talent will pick up right where he left off on the hardwood.” That’s corporate-speak for, “we still think there’s life in the Kobe franchise, so let’s keep the band together.” And while Kobe has long been a Nike star with his first shoe released in 2005, prior to that he wore the three stripes of Adidas. No doubt the design process for sneakers must be exhaustive, given the production and marketing logistics, but there are some designs that may leave you scratching your head. 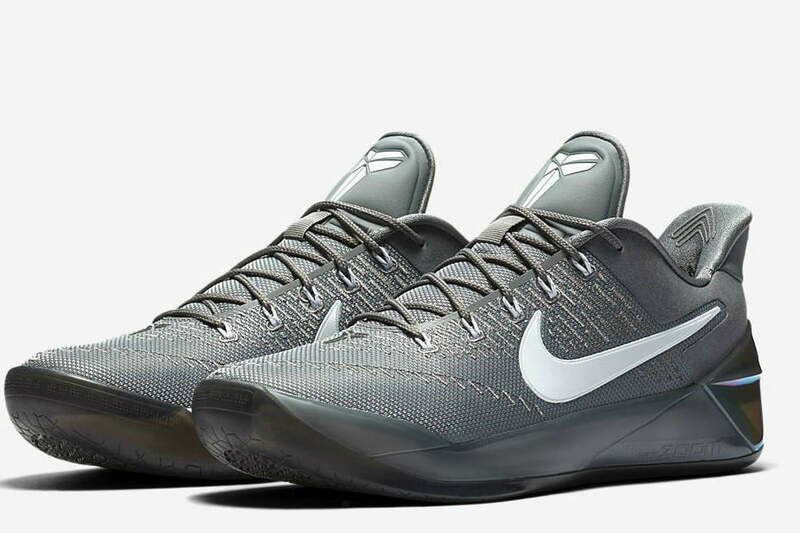 The decidedly sleeker, low profile Kobe A.D. includes an upper with Dynamic Flywire cables and a Lunarlon midsole with Zoom Air units in the heel. It’s been long known that Bryant, unlike other world class players, prefers low-tops as opposed to conventional high-tops. 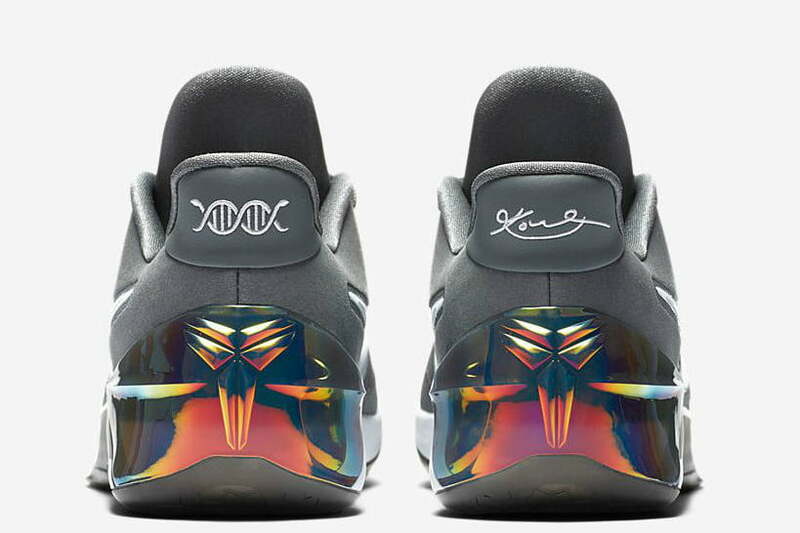 The heel tabs look like a snake on the left (owing to his “Black Mamba” nickname), with his signature on the right. This spiffy new Kobe A.D. edition will be available just in time for holiday gift giving, too: November 22 at 10 a.m. EST. Nike lists it at $160 dollars.